College decision letters and emails are in students’ mailboxes and inboxes. But after the initial rush of excitement often comes dread: how to pay for college. 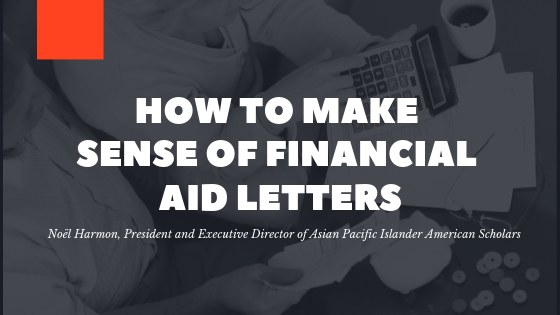 Before students and their families commit to furthering their education, they need to decipher the financial aid award packages that accompany acceptances. And while efforts to simplify the process have occurred, navigating the comparisons is confusing. There are some tools available to help with the process, such as aid award calculators from College Board, Consumer Protection Bureau, or FinAid.org, but they limited spaces for comparisons and families still must hunt down information to enter. Some high schools, college counselors, or college readiness programs may have resources available as well. Unfortunately, there is no standard format for award notifications, so it can be difficult to interpret and compare offers. Some aid letters are very straightforward and include all of the information a family needs to give them a clear understanding of the cost for the school, while others are convoluted and require a calculator and some more digging. There are a few things that students and families should keep in mind when they’re trying to find the best deal. Most award letters have the cost to attend included, but it’s not listed uniformly and can vary greatly from school to school. Some institutions list the cost as a full year, while others list it by semester; some colleges list a thorough breakdown while others provide a grand total. The net cost is what families should pay more attention to—the actual amount of money they’ll have to invest through loans or pay out of pocket. Net price can be calculated by subtracting scholarships and grants from the cost of attendance. Families should also be sure to distinguish between direct costs that are directly payable to the school, which are tuition, fees, and room and board; and indirect costs, such books or laptops. While both are important to consider, for comparisons it is simpler to start with direct costs. To calculate net cost, families must calculate what they’ve been given in free money (sometimes called gift aid), or any money they don’t have to pay back. This includes federal and state grants, institutional grants, and institutional need-based or merit scholarships. Outside scholarships like those given by APIA Scholars may also be listed on an award letter if they’ve already been reported to the school. Additionally, families must establish if the gift aid from the school is renewable, or if it’s for one year; they should also determine if outside scholarships are single-time awards. If the aid can be renewed, students may have to meet requirements like a minimum GPA, full-time status or on-campus residence. Calling the school’s financial aid office is likely the best way to get this information if it’s not offered on the award letter. Work study is often listed on financial aid letters, but it does not directly pay tuition and should not be included in calculations for free money or applied to direct costs. Students must first secure a job on campus and work a specific number of hours to earn the money, and it’s usually delivered to the student as a typical paycheck and is subject to taxes. Direct Subsidized Loans, for qualified students demonstrating financial need; the Department of Education will pay interest on these loans while the student is in school. Direct Unsubsidized Loans, for qualified students who haven’t demonstrated need; borrowers are responsible for all interest. Direct PLUS loans, for qualified parents of undergraduate students. Beyond federal loan options are private loans, which vary greatly and may not be a cost-effective option for financing college. College is expensive and paying for college can be stressful, but diligently comparing aid packages to find the best deal is a good place to start. It’s also a great time to check how each school stacks up against what the student is looking for from their higher ed experience, as well as graduation rates. Once families have done their financial aid homework, they can better celebrate College Signing Day knowing they’ve taken steps to protect their higher ed investment. 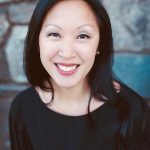 Noël Harmon has served as President and Executive Director of Asian Pacific Islander American Scholars since June 2018. Prior to that, she was Senior Vice President for Strategic Partnerships at Say Yes to Education. Harmon has also held positions at the Brookings Institution, where she was the Associate Director of the Global Cities Initiatives, a joint project of Brookings and JPMorgan Chase, and at CEOS for Cities, where she was the Chief Program Officer and National Director of the Talent Dividend. She also served as a senior research analyst at the Institute for Higher Education Policy (IHEP).